I was born in Plaistow maternity hospital and lived at 10 Fairbank Road, Shoreditch, then 3 Beckton Road, Canning Town until we moved to Bedfordshire when I was around seven. My Grandad ran Eastern Belle coaches at No 3 Beckton Road and I've been trying to find photos/info relating to that but can't seem to find anything. Does anyone have memories of the place please? There are number of pictures of preserved vehicles used by Eastern Belle Coaches, links below. I also found a address for the company at 97 Barking Road, Canning Town. We usedtogo there to book our day trips out. 3 Beckton Road E16. 97 Barking Road was home to Popular Garage and Coaches, and they ran a booking office for most of the coach industry. Thank you so much for the photos. I will scroll through and see if I remember any of the coaches. I was only a toddler when we lived at Beckton Road but my Dad might remember them. Ah yes, I remember now that my Grandad used to call him 'Clarkey.' Thank you for that. Thank you Andy, yes they were booking offices where we lived, at Beckton Road. I used to be allowed to sit in the front office while bookings were being taken. My Nan & Grandad lived above the office in a flat, I used to visit until they moved away when I was older. Thank you for that link Mark, very interesting! I don't know anything about geese guarding the yard lol. I used to play out in that yard and had a great little car that I used to pedal around in, there weren't any geese there then though (around 1958). 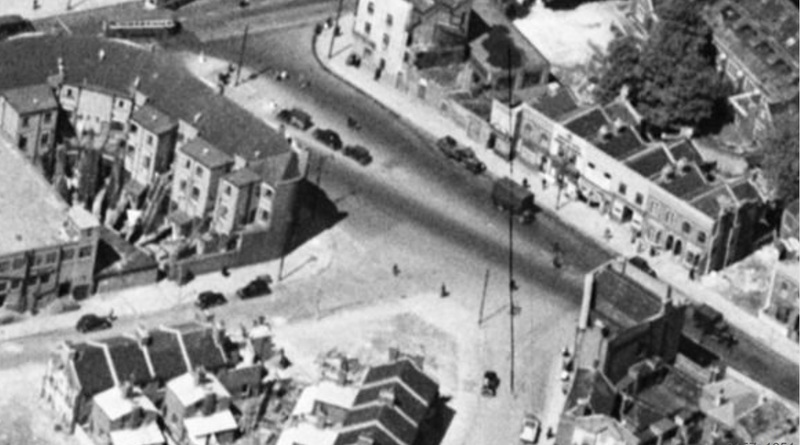 I am guessing where 3 Beckton Road was but this is a blow up of the Trinity Church junction taken in 1946. The Barking Road is at the top of the picture and Beckton Road runs diagonally from left to right. The second picture is also of the Beckton Road taken a little further along and there does appear to be a coach in the picture. 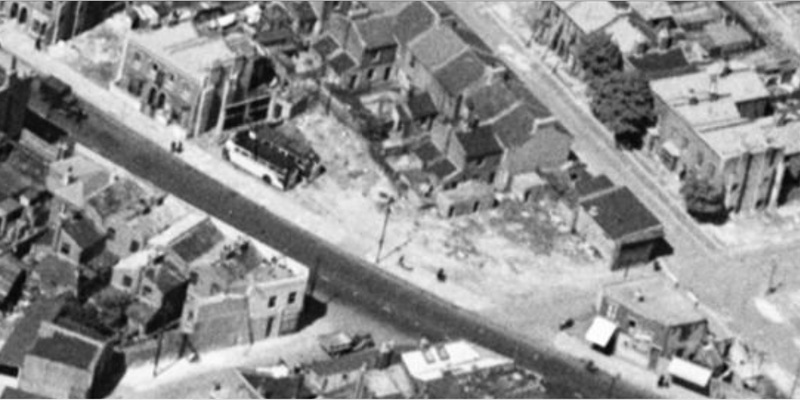 I am guessing where 3 Becton Road was but this is a blow up of the Trinity Church junction taken in 1946. The Barking Road is at the top of the picture and Beckton Road runs diagonally from left to right. Little Wren. Have another look at my post of the Beckton Road. I have modified it and added another picture. Talk about be a poet but one of my non-de-plums on a photography web site is MicPic. Ah I didn't scroll across, have found it (roughly) now, thank you. I remember a booking office on the right hand side of the Beckton Rd as you approached Barking Rd. It was about 50 yards from the Barking Rd. It was Timpson coaches that were booked there, mostly to Southend. I wonder if it had been Clark's coaches and was taken over by Timpson, because that is about where my Grandad's offices were.